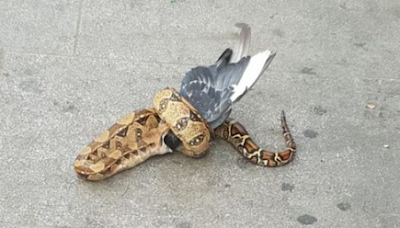 Many described the animal as a python, but the RSPCA confirmed it is a boa constrictor. Mr Fawbert said when he discovered the animal on the pavement between a parked car and a row of shops one passer-by screamed. But soon a big crowd gathered, he added.